U.S. regulatory agencies are nothing more than monopoly facilitators. We the people on Main Street literally have zero representation in the House of Representatives, U.S. Senate, White House, Supreme Circus and certainly not from any Federal agency I know of. Washington D.C. is like a giant playground for international conglomerate monopolies and government insiders, where decisions are made daily as to which insider will benefit from untold billions of tax dollars today? We the people serve two purposes. The first is to obtain our uninformed votes for career criminal politicians. The second is for us to work hard and be productive so our wealth can be confiscated and transferred through Washington D.C. to the Elite. We have a lot of waking up to do, if we are to ever fix this mess. Most so-called government waste is not waste at all; it’s FRAUD. We already know.. GMO is not safe. I don’t know how many more tests they think they have to do to chip away at common sense. If it was safe, Monsanto would not make it. They are a death business to reduce population. Franken…as in Frankenstien / Frankenstienian? Oh, no one is going to like this observation but . . . if consumers would stop relying on “big business” to take care of our needs, I’m thinking it wouldn’t be long and somewhere some of the producers would start listening to us and clean up their acts. That seems to me, if that should happen it would pretty much take care of a lot of things. Maybe there wouldn’t be all this sickness that’s cropping up, maybe more healthy food would be produced and on and on and on! I wonder where it all might end if consumers would stop or slow down “consuming” and wanting everything out there that is available and become more self-reliant! I wonder? This is so riddled with inaccuracies, known lies and complete misunderstandings. For one thing, there are no GE crops with glyphosate in them, they are tolerant to glyphosate to actually reduce it’s use by being able to use glyphosate later in the season when most weeds have emerged. Chemtrail idiots, vaccine idiots, GE crop idiots and fluoride idiots, get a life, learn some science. I have no objection to science, but I do have a very clear objection to NOT knowing whats in my food. When Glyphosate is found in breast milk we have a huge problem. Obviously crops do have traces of these chemicals. When companies fork out massive amounts of money to fund non labelling of foods then there is no comeback on them for the current run of diseases that American children are suffering. From celiac disease to stomach problems. Flouride is certainly a smelter waste product that had no=where to go and now is found to be carcinogenic. And the list goes on. Certainly looks like the American public at large are guinea pigs! topical fluoride is ok like ACT fl2 rinses, but not ingestible forms that are over 1 part per million (ppm) in the water. any more than that is toxic. I used to believe that too but not anymore. No it is not okay…tissues absorb what they come in contact with. Perhaps not as extensively but many children who are forced to rinse and spit at school get sick to their stomachs. Why? Because they have swallowed some. Would you rinse with rat poison just cause you dont have to swallow it? It has all been another medical hoax perpetrated on an unsuspecting public who thinks our govt cares about us. They don’t. I wish you were right and I use to think people were crazy for being concerned about these things but then I actually started reading the science and the documents . If chemtrails are harmless why do almost all of the planes that spray them zig zag around and make checkerboard patterns in big sections of the sky? They keep going until huge sections of blue skies are completely blanketed then they move on to the next section and repeat the entire thing until the sky is a mess. Planes that just leave normal contrails do not fly in these erratic patterns. Vaccines are something to be concerned about. Too many children/babies have been injured or died from them. Public Law 99-660 Government’s National Vaccine Injury Compensation Program (VICP) .Fluoride ? Used by Stalin in the Gulag and Hitler in concentration camps to make people sterile, docile, and stupid. Read the warning on the back of fluoride toothpaste -If more is swallowed than used in normal brushing seek medical help or call the poison control center right away/only give pea size amt. to children 6 and under/2 years old and under-check with dentist before giving toothpaste. Ummmm-this sounds suspect to me. Fluoride not FDA approved was grandfathered in in 1938 so dentists could keep using it without going through a big hassle. Fluoride is industrial waste and expensive to dispose of so industrialists convinced municipalities to buy it and put it in our water because it is good for our teeth? 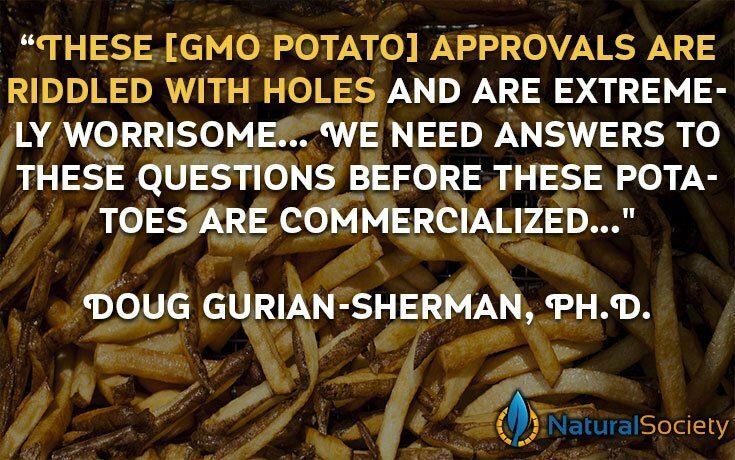 GMO foods -the science speaks for itself . Monsanto is the major GMO company and they have a long dirty history and they use dirty tactics on anyone that opposes them. You do not have to search very hard to find out the dirty truth about GMO foods.Monsantos own scientists do not even want to eat that stuff and they created it. 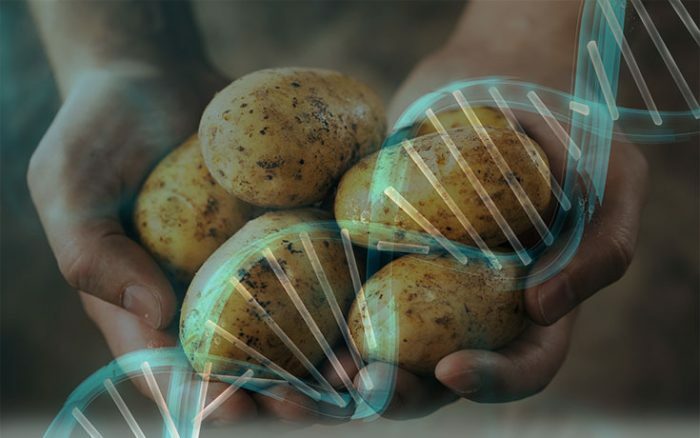 Last year I read 2 articles on how Monsantos scientists wanted the company to offer conventionally grown food in their cafeterias because they do not want to eat their own gmo foods. That is pretty much says it all. I can’t even justify topical use anymore or rinses. Our tissues absorb even if it is spit out. What about the children that accidentally swallow it at school where they are helping to save the children’s teeth?….NOT!!! It is officially classified as a neurotoxin…plain and simple. I would not rinse with rat poison..would you?? No way. I use plain baking soda instead of toothpaste and it works great. I would not even have a problem with greedy companies putting out dangerous products if they put a warning on-“this could kill you or make you sick’. then you at least have a choice. When you have no choice like with chemtrails that really is upsetting because you can’t get away from them and there is no alternative. I am also very upset that lobbyists have so much influence on our government officials that corporations are deciding our fate. Actually it is purely scientific to not release or participate in a tragic experiment without first identifying potential risks to our permanent food supply. Mottfolly I –the troll– insulting people as you are, isn’t scientific, so I suspect you could stand to learn a little more before showing your ignorance. This needs to stop! GM foods, fluoride in our water, chemtrails, killer vaccines, the list goes on and on. At this point anyone who denies that there is a depopulation agenda is a complete idiot. The politicians and agencies who are suppose to be looking out for the general welfare of the people are not looking out for anyone’s welfare but their own. It would not surprise me if in the near future they started pushing soylent green off on us. Absolutely! It is obvious that no one has our backs! We are the ones we are waiting for! No saviors we have to do this ourselves! The question is how? This is infuriating that it continues without check! That sure is the truth. If we question the experts on what’s in our food ,air and water or question if vaccines cause autism then we are crazy or conspiracy theorists or dangerous domestic terrorists or all three! Very disturbing. It scares me to think of where this is all headed. I am really terrified for my grandchildren and their entire generation. You are right by calling this a plague because that is exactly what it is. Sorry, it is scary, but can’t help thinking where it’s going either. Too many see the trees blind to the forest. It’s possible future generations will be food slaves with few choices. At least that’s a hypothesis that fits the facts. They are trying to kill us or at least dumb us down to the level of dogs. (I love dogs) My point is they want to leave us without real choices, so we choose between poisons, coke or pepsi? die of brain cancer or heart attack? those aren’t real choices. this is an arm of the insiduous military industrial medical complex.. a war machine designed to kill. There may be good people in the system, but the system is out-of-control. Looking at the statistics, they aren’t implementing it very well.